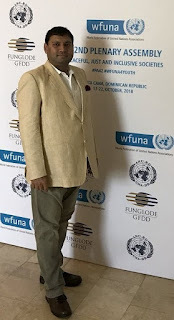 After 22 hours of flight, 17 hours in transit and a four-hour drive from capital Santo Domingo, I reached a picturesque paradise city called Punta Cana on the easternmost tip of Dominican Republic. The Dominican Republic, not to be confused with Dominica in West Indies, is a Caribbean nation which forms an island called Hispaniola with its neighbouring country Haiti. These are part of a series of islands known as the Greater Antilles. Area-wise it is the second largest Carib nation after Cuba. Capital Santo Domingo, named after patron Saint Dominic, has a population of about 30 lakh. Punta Cana abuts the Caribbean Sea and the Atlantic Ocean and is known for its thirty-two kilometres stretch of beaches and clear waters. The Bávaro area and Punta Cana combine to form the Coconut Coast - an area of lavish, all-inclusive resorts. It is popular for zip-lining, windsurfing, kayaking and sailing. I spent a few hours at the J W Marriott Hotel in Santo Domingo. This hotel was awarded the best luxury city hotel in the Americas by Trip Advisor’s 2017 Traveler’s Choice Awards. 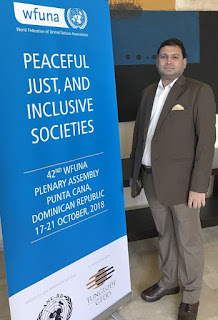 This was the first time I visited the Dominican Republic main agenda was to attend the 42nd WFUNA Plenary Assembly being hosted in Punta Cana in October (2018). Every three years WFUNA Plenary Assembly brings together representatives from over seventy United Nations Associations from all over the world. The plenary session was preceded by a seminar on “Peaceful, Just and Inclusive Societies” as well as capacity-building sessions on a variety of topics. 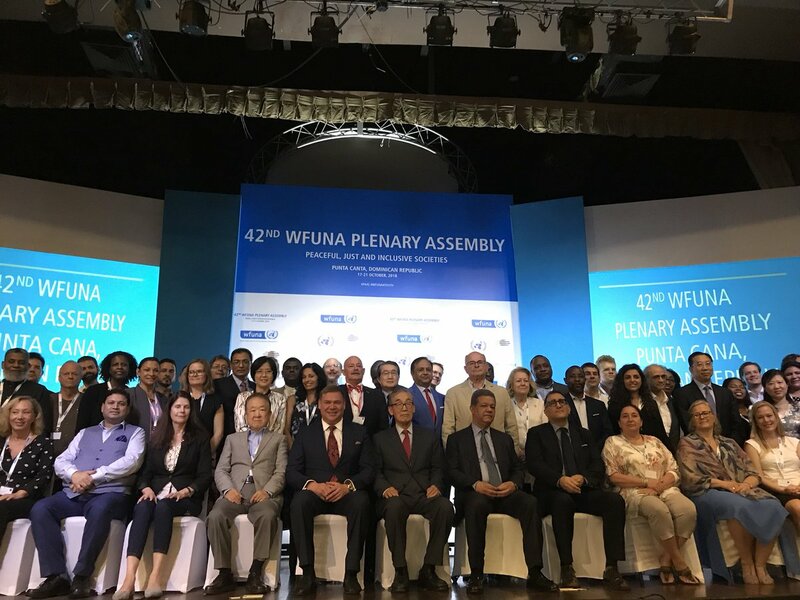 At the plenary, Mr Leonel Fernandez, former President of Dominican Republic, was elected the new WFUNA President. Ambassador Park Soo-Gil of Korea passed on the baton to Fernandez after serving as president for nine years. It was nice to meet them both in person during the sessions. 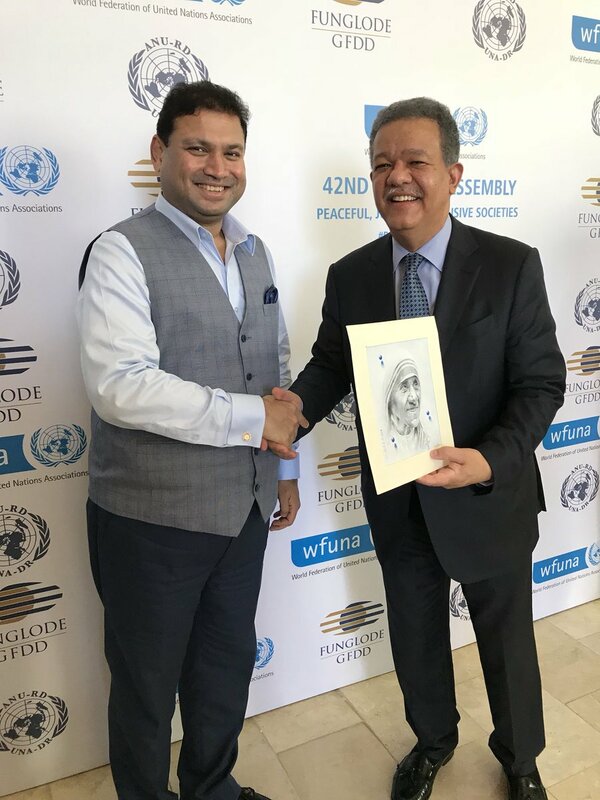 I congratulated the new President of WFUNA and presented him with a portrait of Mother Teresa. 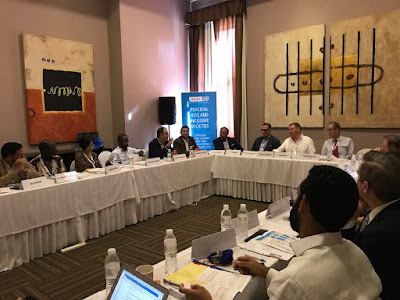 The Third WFUNA Global Youth Forum was also held in conjunction with the plenary assembly at the Palms Beach Hotel of Punta Cana. The hotel brags a gorgeous convention centre and five hundred rooms and suites with stunning views. The Dominican Republic was under Spanish rule for 300 years and declared independence in 1821. It was occupied by the USA between 1916 and 1924 (for eight years). Since 1996 Dominican Republic moved towards representative democracy. In the past 20 years, the country has had one of the fastest growing economies in the Americas. Recent growth has been due to construction, manufacturing, tourism and mining. 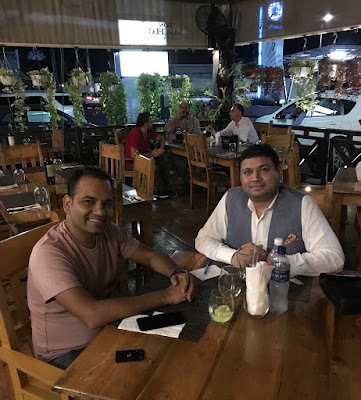 I visited Indian restaurant Pranama located at Bavaro in Punta Cana. 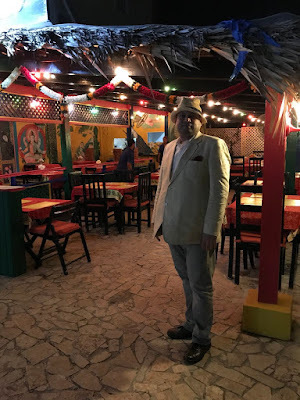 Pranama, owned and run by Krishna and Maria, is the only restaurant in the Dominican Republic serving authentic Indian cuisine. It was a pleasure to meet Maria with whom I was in touch with before my trip over email and phone and her warmth and I was very touched as she had very kindly offered that if I had a problem finding time to go to her restaurant, she will be happy to send my dal/roti to the resort as well. In my overseas visits, I come across many Indians whose Indianism and love and care for Indians has touched my heart, Maria’s husband, Krishna is, of course, one of them. 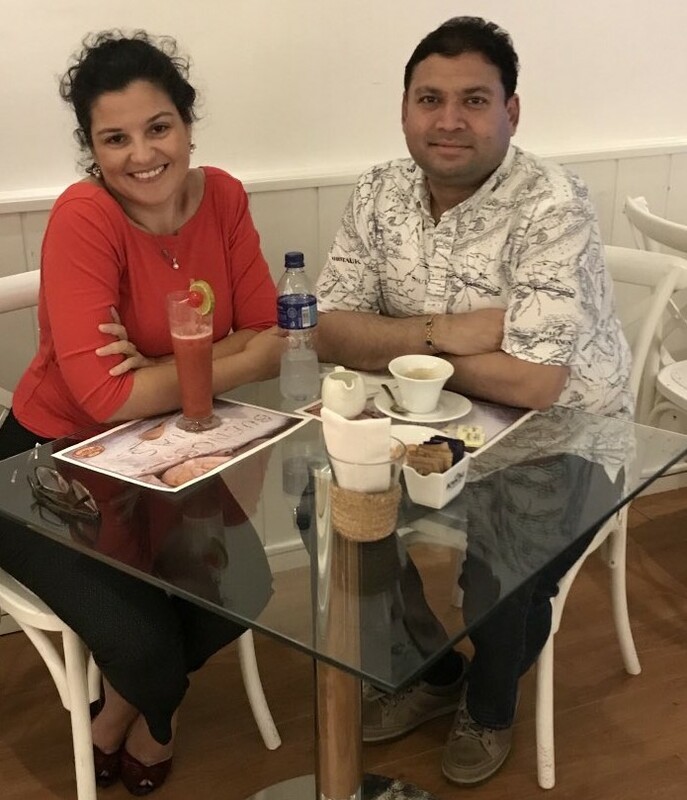 Maria and Krishna met each other in Switzerland while studying Hospitality Management in a well-known school and they were good friends. 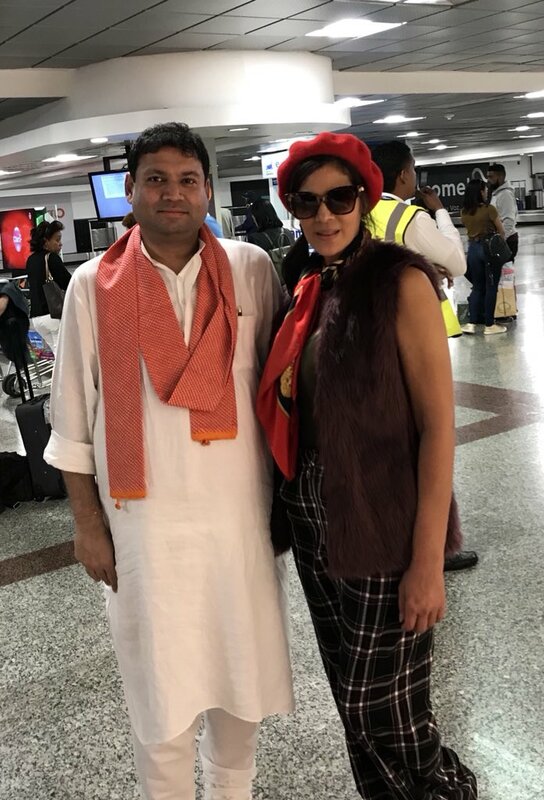 After completing their studies, Krishna came back to his home town in Hyderabad and then visited Punta Cana to meet Maria for his holidays. Krishna has fallen in love with this place. When he visited Maria for his holidays they both decided to get married. 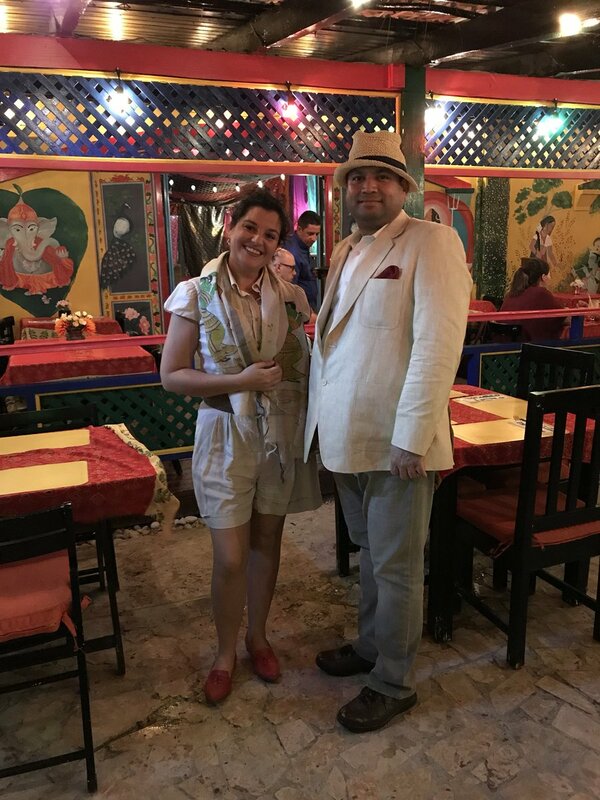 Krishna loved Punta Cana so much that he decided to stay there and that gave birth to this beautiful Indian restaurant “Pranama”. I have not only enjoyed the food at “Pranama” but also was interested in the décor of the restaurant. The credit for the interior décor goes to Maria’s mother who did all the paintings herself. The décor of the restaurant is a reflection of Indian art and culture. Indian motifs and pictures of Indian gods and goddesses further enhanced the Indianness of the place. Krishna always had a special touch and feeling for cooking and he further honed up his skills working for almost 10 years in the Swiss restaurant industry. He very well knows how to balance the flavours for non-Indians. The couple together cooks vegetarian and non-vegetarian food. The Pranama restaurant has a real tandoor where they make all kinds of tandoori dishes, including naans. Apart from the restaurant the couple also runs catering services, especially for Indian weddings, in the hotels nearby. I was very impressed by Maria’s knowledge about India and Indian cuisine. Maria also took me around to show me Punta Cana and I never felt that this was the first time I was meeting her. 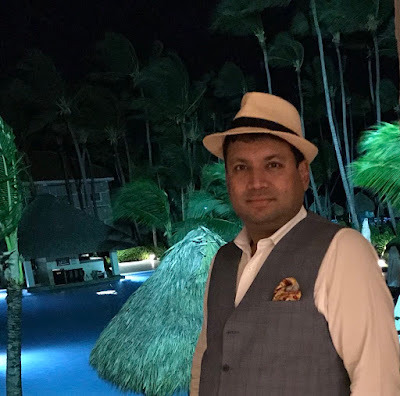 As far as the Indian community in Punta Cana is concerned apart from Krishna there are two other Indian, one has a tour operator agency and the other is a Chef working for a five-star hotel. Before coming to Punta Cana on the way I met Amit Shah who is one of the very few Indians to come and settle at Juan Dolio, a small beach town located an hour’s drive from the capital city of Santo Domingo, some 18 years ago. Juan Dolio, with a 10-kilometre white sand beach, is a weekender’s throng. I had quite a few meetings notably with Mr Fernando Gonzales Nicholas the first Honorary Consul of India in the Dominican Republic and the newly appointed Honorary Consul of India, Mr Antonio Lama. 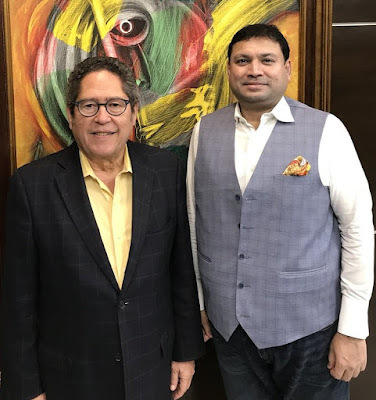 As Punta Cana is also emerging as a marriage destination for NRIs settled in North America, I am sure in a couple of years Punta Cana will host many big fat Indian weddings. During my evening with Maria, I told her that you have an Indian restaurant in a city of three-and-a-half Indians; as there are three Indians in the city and since she is married to an Indian, she is half Indian as well. The Dominican Republic is a tropical paradise, all sun, sand and sea. An ideal place to unwind and host events. The ever-growing popular tweeter handle @JLFInsider that comes alive during the Jaipur Literature Festival is like a bee in JLF’s bonnet. It gratifies our yearning for masala stuff by tweeting gossip, faux pas, trivia and facts wrapped in sensationalism and satire. And it does a good job of it by being anonymous and crowdsourcing live tweets that have a ring of truth around it. Like citizen journalists, we now have “citizen twitteratis” who help keep the handle’s curiosity quotient high. With 7,180 followers and counting, @JLFInsider is like chilly flakes. For many, it adds to the taste. But too hot for others. It has become one of the most engaging voices of JLF since its arrival during 2014. This twitter handle reminds me of the controversial anonymous blog called Fake IPL Player, which was started in 2009 with the IPL series. By narrating sordid stories and giving uncanny names to players, coaches and team-owners, the popularity of the blog shot through the roof. Everyone started guessing about the person behind the blog. 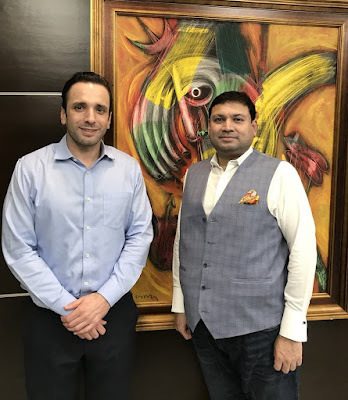 All this was put to rest when a marketing specialist Anupam Mukerji, who had never met a cricketer in his life, revealed himself on television and newspapers as the person writing the blog by making up stories. I remember many bureaucrats used to bookmark and follow a website called whispersinthecorridors when it started. Many of them said that it doled out inside information that turned out to be true. The initial anonymity added to the site’s credibility. In the same vein, people are trying to guess names as to who runs this JLFInsider on twitter. Of course, journalists, public relations outfits, authors and disgruntled members of JLF management team are the ones whose names naturally come up first. But the concept of crowdsourcing seems more plausible. The ‘Insider’ is certainly synonymous to sarcasm. For instance, the tweets from Manisha Koirala’s session – ‘Healed: Life Learnings from Manisha Koirala’ poked fun at her alcoholic tendencies. At times images with funny captions by people are put up. 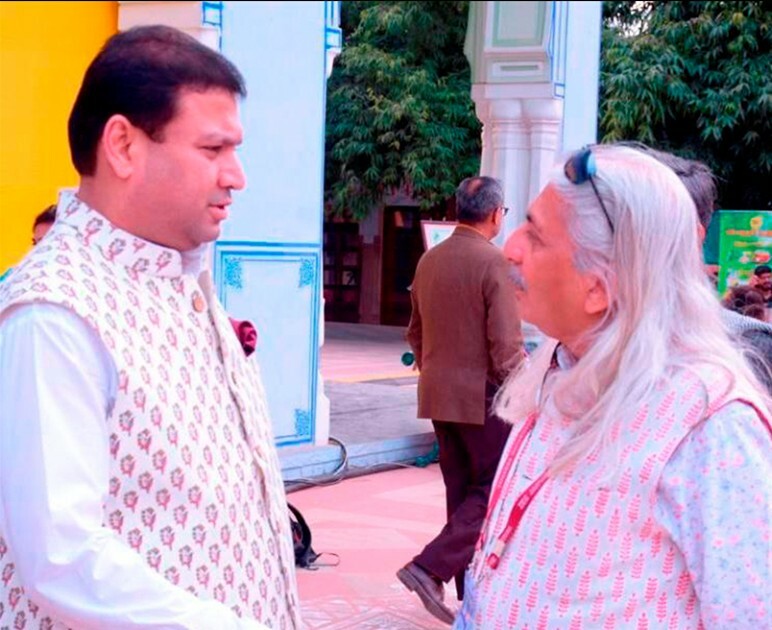 Some people think ‘JLF Insider’ is the bold voice of the people and their activities at the festival. They could be standing behind you, attending sessions, sipping wine at the bar or trying to be within earshot in the most unlikeliest of places as citizen twitterati. For tickling our comic senses, ‘JLF Insider’ is certainly here to stay. Few authors friends have asked me are you the one? No way- me techno handicap! Yet others think it is a PR person and his team stationed at the Diggi Palace or perhaps someone close to Sanjoy Roy’s team. Few also point that it may be the organiser’s publicity gimmick, which I don’t believe. On a serious note, the world has seen the Snowden effect and encouraged many to become whistleblowers and insiders. How does it matter as to who is behind the @JLFTwitter handle as long as what they tweet isn’t libellous? The mainstream media is by and largely subservient to the ads they receive. Let the social media have its say. We should take it all in our stride. Let me share another fact- the organizer's move to stop online registrations during the holidays on January 26 and 27 has helped manage the crowds and spared the Litfest from the maddening rush of visitors. From a security perspective too, it was a step in the right direction. Surprisingly room 111 had less visitors on January 26-27 than on January 24-25. Home to the one of world’s largest free literary fests, Jaipur does not feature in the UNESCO-designated list of City of Literature. Currently, 28 cities from 23 countries have been given tags of the “City of Literature” by UNESCO. While cities of smaller nations like Estonia, Slovenia and Uruguay are on the list, there isn’t a single city from India. Even war-ravaged Iraqi capital Baghdad made it to this coveted list in 2015. There is some consolation that Jaipur is the sole Indian city, among 179 others, to feature in the category of “Creative Cities of Craft and Folk Art” under the UNESCO Creative Cities Network (UCCN) programme. I very strongly feel that Jaipur and Kolkata, being their respective cultural and literary capital, are the two Indian cities that can qualify for UNESCO list. Kolkata is gearing up to meet the criteria and stake its claim. 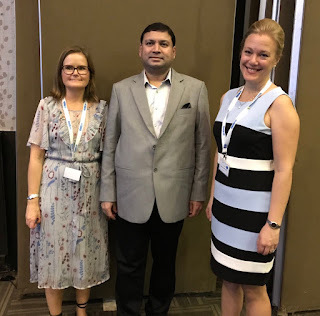 Edinburgh Napier University, which contributed much to help the city of Edinburgh become the first UN-designated “City of Literature”, is keen to help Kolkata get to that list. A very dynamic Indian lady, Jai Verma, who helped Nottingham become a UNESCO City of Literature in 2015, is also campaigning for Kolkata. Jaipur too should buck up and submit its bid to the UN in right earnest. Many may wonder if the juice is worth the squeeze! I think so. I feel that JLF should use its stature and appeal to promote literary creativity in Rajasthan and should not be viewed as a world-class literary jamboree. The Pink City should also look beyond the scenic celebration of the written word and create new infrastructure to expand the literary and cultural capital base. Sadly, no serious effort has been made to approach the UN so far. UNESCO recognition, which is based on many criteria, would go a long way to confirm Jaipur’s cultural and literary heritage and boost creativity and local language literature. Also, there is much to gain by being a part of a global UN initiative that brings together 1000 libraries, 70 lit-fests and 900 bookshops. Each city and lit-fest has its own cachet. In contrast to JLF, The Hay Festival of Literature and Arts in Wales takes place in a town with a population of 1600 people and 28 bookstores. But, during the 10-day festival, the town’s population reaches 2,50,000. The famous Edinburgh International Book Festival has the only rail station in the world named after a book by Sir Walter Scott. Small towns and cities have made a big contribution to literary activities to become a part of a global UN network with positive spin-offs. On the other hand, like Jaipur, Brooklyn, Tokyo, Sydney, Irrawaddy (Mandalay in Myanmar) and other cities hosting famous lit-fests aren’t in the UNESCO list, which recognizes only those cities that place creativity and cultural industries at the heart of their development plans. Till Jaipur finds a place in that list, it will remain an unreachable itch. Also, Jaipur culture and tradition blends the people into it. I was pleasantly surprised to see Javed Akhtar, Shashi Tharoor, Devdutt Pattanaik and even Lord Jeffery Archer enjoy wearing the turban at my get-together at ITC Rajputana. What more do we want? 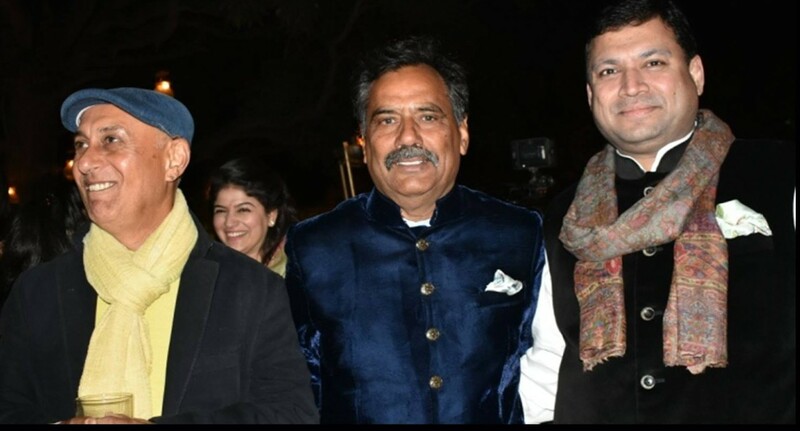 JLF also means a number of interesting parties that are held on the sidelines of the main event. 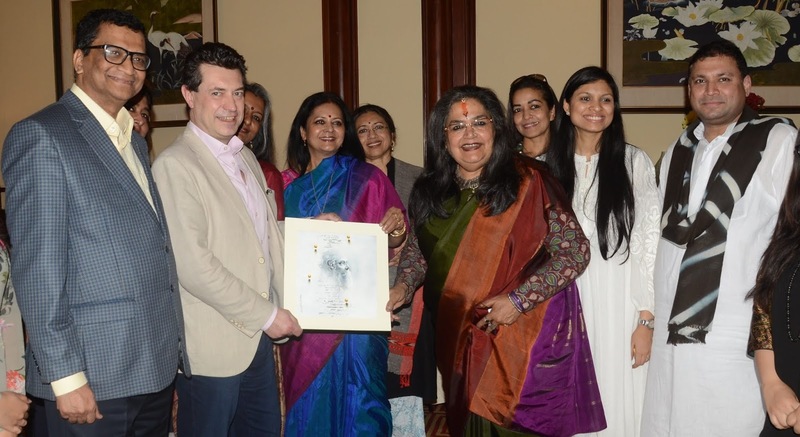 Over the years, besides the mega event at the Diggi Palace and the Music Stage at Clarks Amer in Jaipur, the publishers also host their own bashes. This year, closed events were hosted by Westland Roopa, Aleph and Pan Mac for their respective authors and teams. The idea is to interact closely with our associates in a cosy atmosphere. 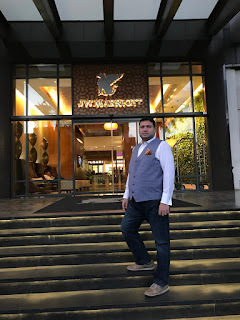 On Thursday evening, the cocktails at Rambagh organised by Harper Collins and the one at ITC Rajputana where my team and associates interacted with authors from Westland publishers saw quite a gathering. The latter saw a violinist from Jaipur playing Hindi movie numbers in the background. 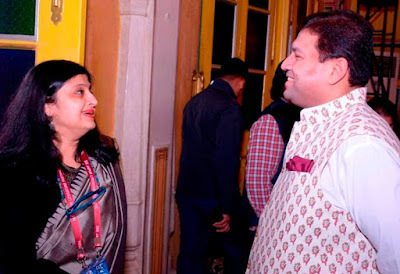 Film star Shatrughan Sinha, poet Javed Akhtar, actor and writer Shabana Azmi, author Devdutt Pattanaik, Pawan Verma, Anita Nair, Savi Sharma and others interacted with our associates. The guests had a whale of a time with a variety of spirited drinks, sumptuous food and dulcet music. One special feature of the evening was that each male guest had a turban tied for an ethnic touch. On Friday, it was Jeffery Archer and other authors from Pan Mac, besides closed-door events with ROOPA and Aleph authors. January means a rich mix of art, culture, literature, polo and much more. The pleasant weather complements the aura of the Pink City. 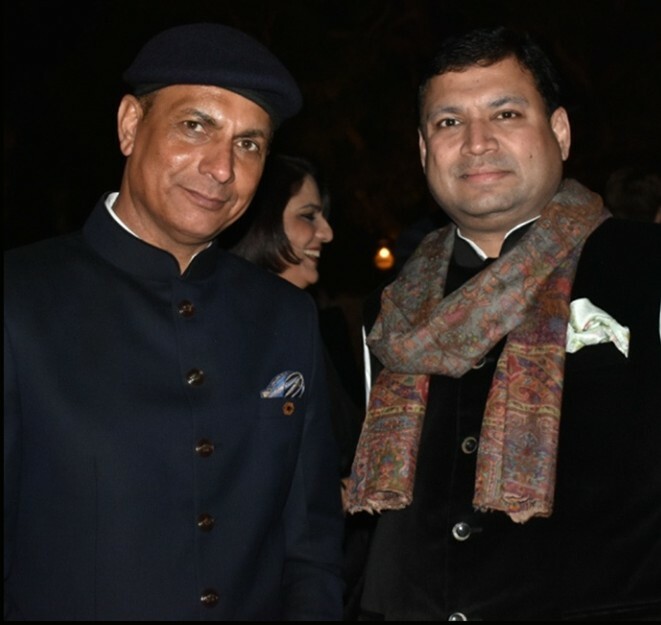 To celebrate this spirit, a special event ‘January of Jaipur’ has been curated. It is an evening of warm conversations about all things Jaipur in the month of January. There was, however, an unfortunate incident of a branch of a tree falling over some people at the restricted delegate area. The injured were given medical aid and taken to the hospital and discharged after treatment. The unexpected rains also could not mar the spirit of the festival and the sessions ran as scheduled. The organisers have learned from the 2014 rains and are now better equipped to handle the vagaries of weather. 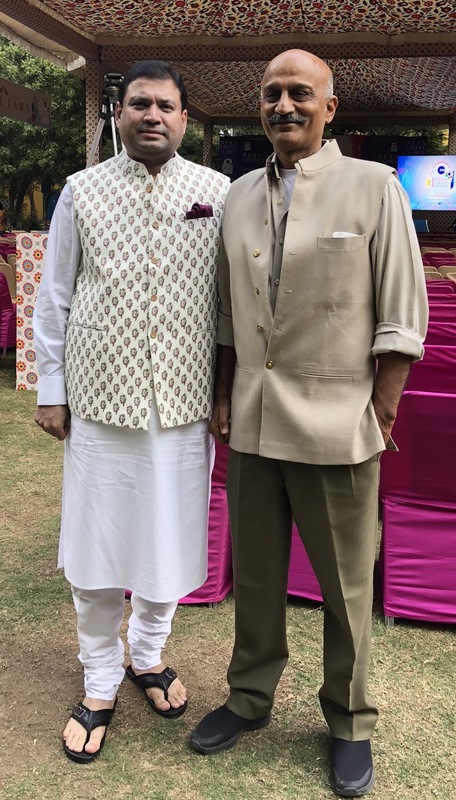 The Maha Kumbh of literature, Zee Jaipur Literature Festival 2019, got off to a gala start with the traditional dinner at the Rambagh Palace. The equestrian and a polo theme stable bric-a-brac showed the effort put in for the décor. This is one evening that is meticulously hosted, covering the minute detail of aesthetic, décor and food in order to revive the regal aura of a bygone era. The closed-door dinner at Rambagh was started with the objective of getting authors and writers to meet each other on the eve of the LitFest. But over the years, a steady influx of bureaucrats, corporate-executives and Jaipurites has vastly outnumbered the presence of authors. So much so, making it to this dinner had become a prestige issue for many, who get strings pulled to get their names on the guest list. It became a crowded affair and belittled the basic purpose of hosting all the guest authors to meet each other ahead of the literary carnival. I had personally, a few years back went out with celeb authors to eat at the prestigious dinner. Many authors started eating dinner in their comfort zone and the privacy of their rooms. I am glad that from this year onward, the Rambagh dinner is back on track with most authors and litterateurs attending it. There has been a much-needed course correction in the guest list and due weightage given to the presence of authors. Only select Jaipurites and prominent media persons got invitations and I did get to meet them. 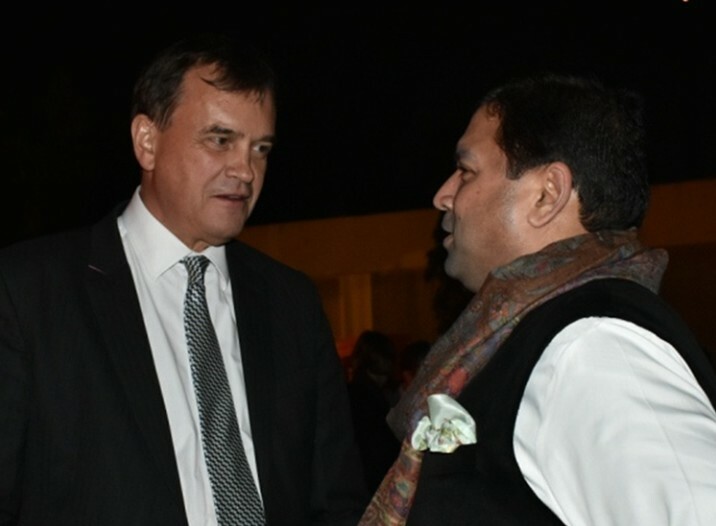 In fact, there are many people I just get to meet at this dinner only such as Raj Kumar Vijit Singh. 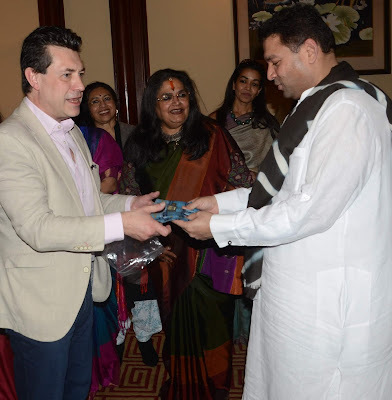 I must say it was a fantastic mix of authors, JLF guests and key persons of Jaipur. 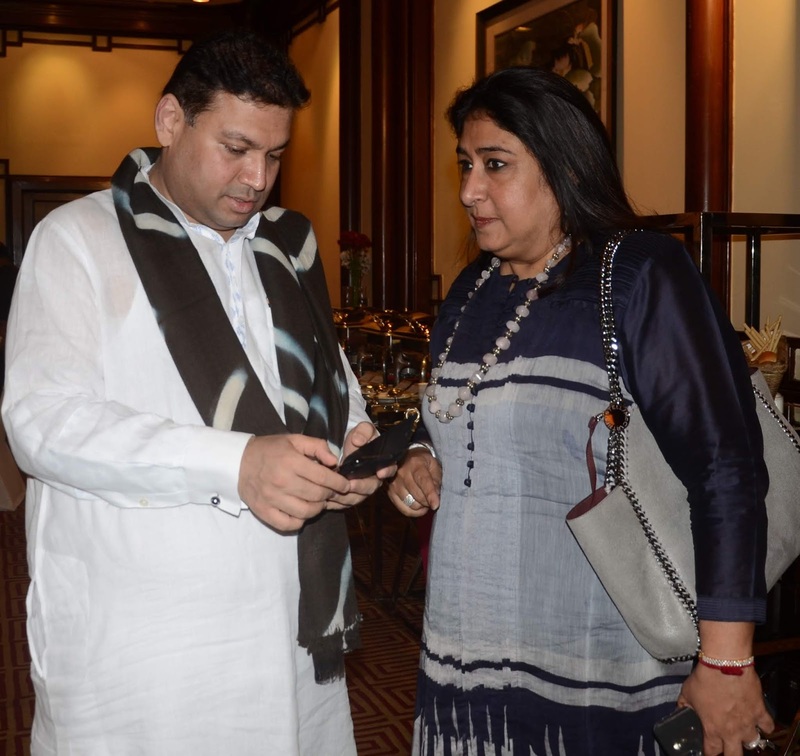 I must also congratulate the organizers for taking positive steps to revive the stature of the Rambagh dinner and I hope that from now on this world put to rest the clamour for getting onto the list. 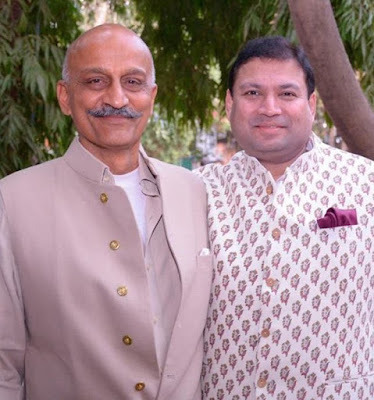 The horse and the polo theme for sure added, in the right measure, an aura of royal Rajasthani heritage to the 184-year-old iconic property which had been the abode of Maharajas and Maharanis and also served as a hunting lodge. 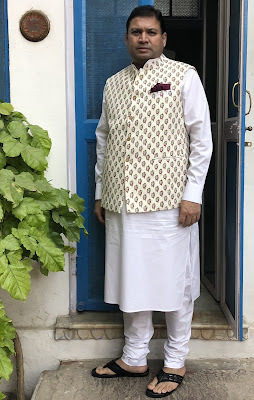 Before the Rambagh Palace dinner, I went to the Diggi Palace hotel which is a heritage property. 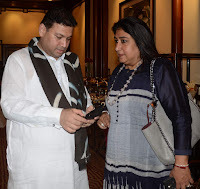 I met Chandra Prakash Deval, Kiswar Desai, Urvashi Butalia, Neeta Gupta and others. I must thank Thakur Rampratap Singh Diggi for showing me around the new venue at the Diggi Palace. I did get a feel of the kind of massive infrastructural arrangements that have been put in place for the smooth operations of the LitFest. The very success of JLF hinges on robust infrastructure and back office support services. The Diggi Palace has been the venue of JLF since it took off in 2006. Having witnessed the magnitude of the Festival’s stupendous growth, it still presents the best option as a prime venue. I am sure a little rainshower is not going to impact the festival. The 12th Edition of Zee Jaipur Literature Festival (JLF / LitFest) this year is taking place with a new local government in place. This year the LitFest would be one of the biggest affairs in its history in terms of scale and magnitude. In a freewheeling session of Ek Mulakat on Tuesday, Sanjoy Roy, managing director of Teamwork and the man behind JLF, shared aspects of the LitFest not known to many. The volume of business that JLF brings to the state is mindboggling. This year, as informed by Mr Roy, nearly 600 media persons have been given accreditation from India and across the world. A few years ago, for the first time, an economic survey was done and it was estimated that JLF contributed nearly Rs 30 crores to the local economy. Last year Ernst & Young did a basic survey in which they included jewellery, furniture, clothing, home products, restaurants and hotels and the figure was Rs 116 crores. The scale of LitFest's contribution to the local economy can be gauged from the fact that bookstores sell over about 100,000 books, valued in crores, during JLF. There are queries from many quarters that the Diggi Palace is not big enough for hosting the fest. Roy, however, feels that there is not another venue in Jaipur that provides such ambience and infrastructure to host the Festival. He had scouted for a `better venue’ but the ones he visited did not come close to the Diggi Palace. 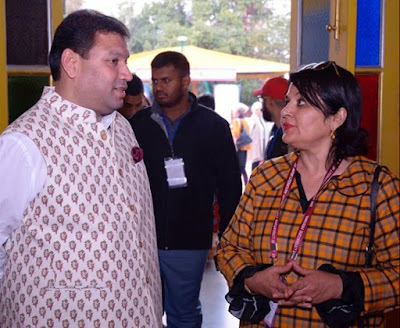 The fact that there are nearly 125 washrooms with tissue papers and toiletry to cater to the crowds in an indicator towards the kind of logistics JLF demands. Other logistical details are no less eye-popping. Also, JLF has to factor in numerous and new issues every year. For example, the local health department team keeps doctors, staff, medicines and ambulances ready to screen people for influenza-like illness (ILI) and to provide masks and medicines to those who show symptoms. This year writer-historian William Dalrymple would be conspicuous by his absence. 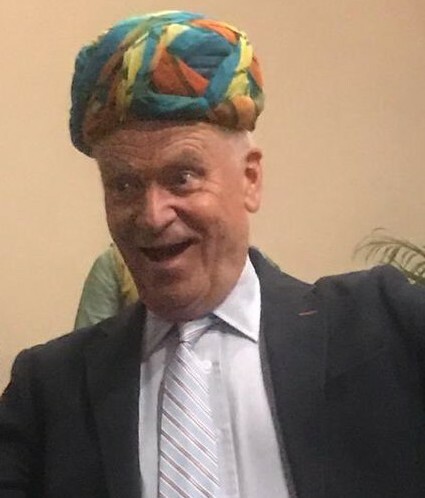 He had tweeted his apologies on January 16 saying that following the death of his father Sir Hew Fleetwood Hamilton-Dalrymple he would join a family affair. 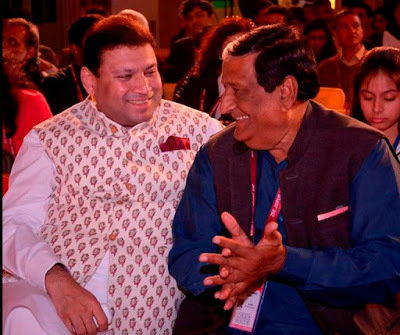 William was very active during the Mumbai curtain raiser of the LitFest in December 2018. This year the LitFest will have one of the strongest line-up of 350 speakers cutting across different fields and genres including Nobel-prize winning structural biologist Venkatraman Ramakrishnan (author Gene Machine), Pulitzer Award-winning heavyweight authors, feminist authors, Dalit writers and so on covering, 16 Indian and 12 International languages. This is perhaps what makes it “The grandest lit-fest in the world”. Over the years I have witnessed the stupendous growth of Jaipur LitFest. The acorn has become a mighty Oak. I think Jaipur LitFest is like a salad-bowl model where authors, writers, politicians, foreign visitors, bureaucrats, actors, activists, artists, book lovers and the local residents come together for five days – each retaining their unique identities like different ingredients in a salad bowl - to celebrate the pulsating spirit of the Pink City. 6 December 2018: Today, I, as the Trustee on behalf of Prabha Khaitan Foundation, signed a memorandum of understanding (MoU) with Edinburgh Napier University, Scotland, for cultural collaboration and exchanges between the two institutions. 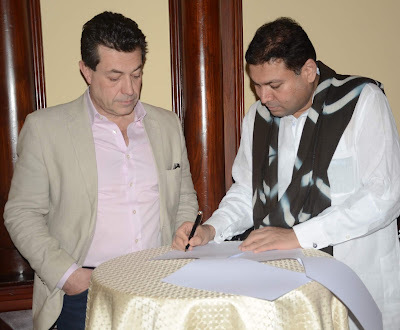 Mr Paul Holmes, Academic Lead, International, for overseas partnerships for School of Arts and Creative Industries, signed the memorandum on behalf of Edinburgh Napier University. The signing ceremony was held at The Taj Bengal. 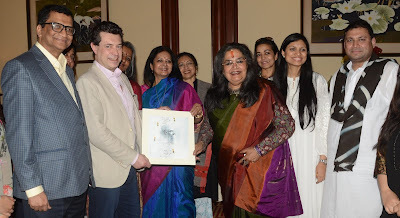 Eminent Kolkatans and cultural aficionados, danseuse Tanusree Shankar, Usha Uthup, Dona Ganguly, Goutam De, Director ICCR, Gouri Basu, Director of Eastern Zonal Cultural Centre (EZCC), Mallika Varma, Nandita Palchoudhuri, Nilisha Agarwal and others were present on the occasion. The signing in was followed by a lunch. Edinburgh Napier University, Scotland, which has 19,500 students from 140 countries on its rolls, is named after renowned mathematician and philosopher John Napier. 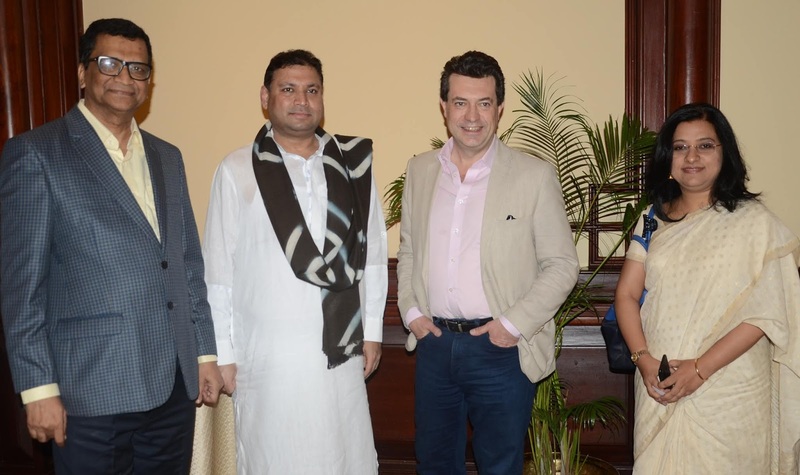 I strongly feel that literature and performing arts should travel side by side and as we have already spread our literary activities overseas, this MoU with Edinburgh Napier University is a step forward for performing arts and cultural exchange between Kolkata and Edinburgh. I must thank the directors of ICCR and EZCC Goutam De and Gouri Basu respectively who expressed their solidarity with Prabha Khaitan Foundation and promised to continue extending their support to us.As per the agreement, the two institutions would explore possible collaborations and partnerships to promote performing arts and literature in India and Scotland.